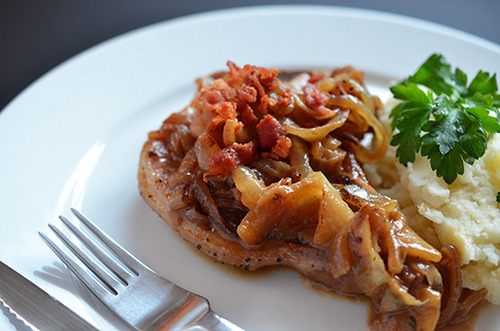 With a name like Bacon Apple Smothered Pork Chops I don’t think I have to convince too many people that this is an amazing recipe and delicious dish. The sweetness of the apples and richness of the bacon will turn any ole’ pork chop into your new go-to pork recipe in an instant. The extra bonus to this recipe? It fits almost everyone’s diet, including paleo, so it doesn’t have to be a cheat meal for anyone.